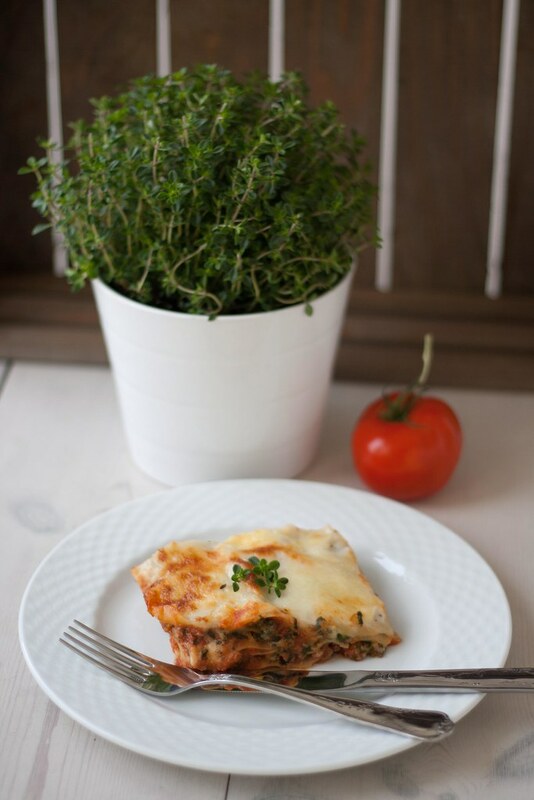 We love lasagna and we have it for dinner on a regular basis. For years we always had the regular lasagna with beef, which is very good, but at the long run we needed some change. 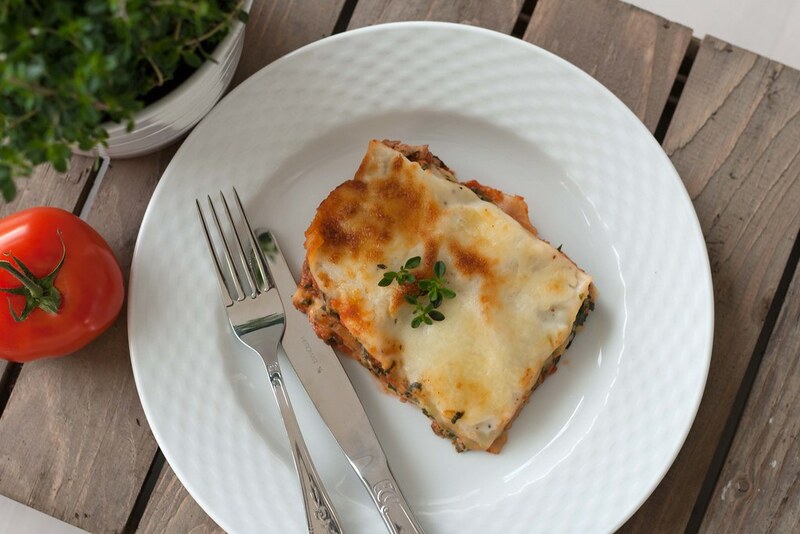 This recipe for chicken lasagna with spinach, cottage cheese and béchamel sauce is now one of our favorite lasagna recipes. It is easy to make and has a super delicious taste. 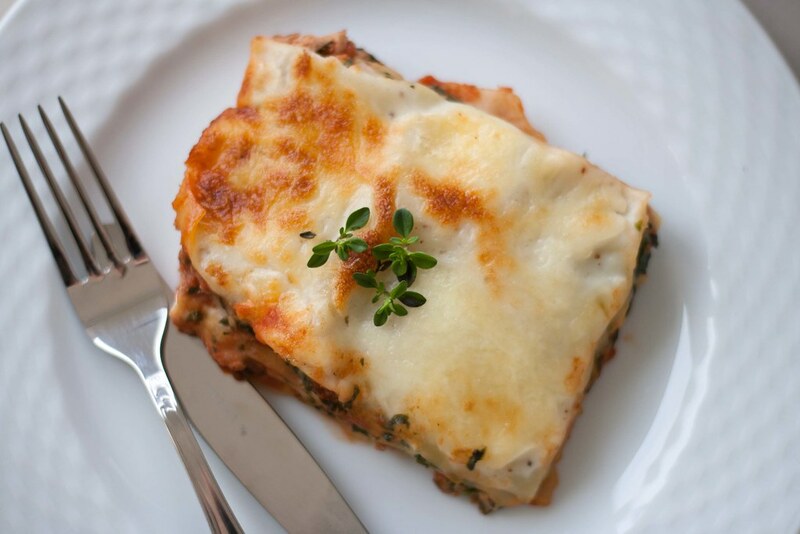 We have served this lasagna for friends and family, each time with great success. We have also served it for kids who find it delicious even though it has spinach in it. We always make our lasagnas from the ground and we never use a lasagna powder mix where you only need to add water and meat. 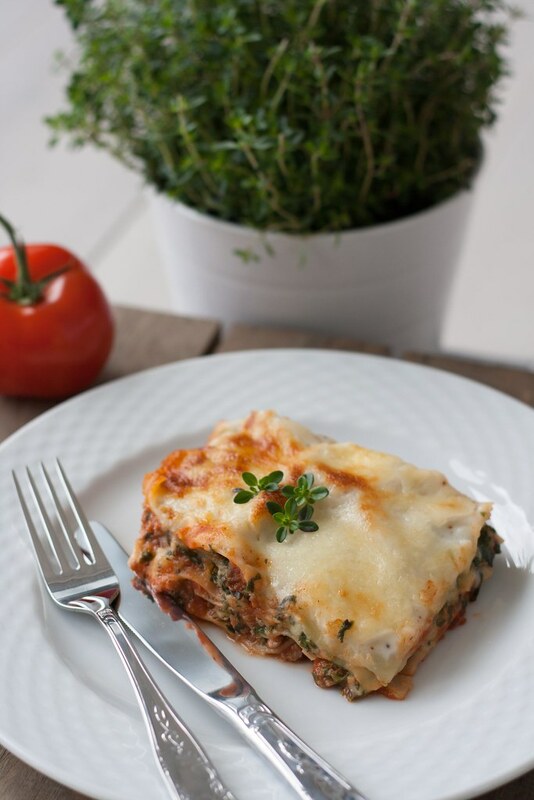 The time spent to make the lasagna is almost the same; however the one you make from fresh ingredients is just must better. Step 1: Mix the thawed spinach with cottage cheese. Season with salt and pepper. Step 2: Heat up some oil in a sauce pan and fry the finely chopped onions and the chicken. Add the tomato paste, the diced tomatoes and some chicken stock powder. Let it simmer for about 15-30 minutes. Step 3: Melt the butter in a sauce pan. Step 4: Add the flour slowly while stirring and continue to stir for about 1 minute. Step 5: Add the milk in three steps and whisk well in between. Step 6: Let the sauce boil lightly for a couple of minutes and season with salt and pepper and some grated nutmeg, thyme and basil. 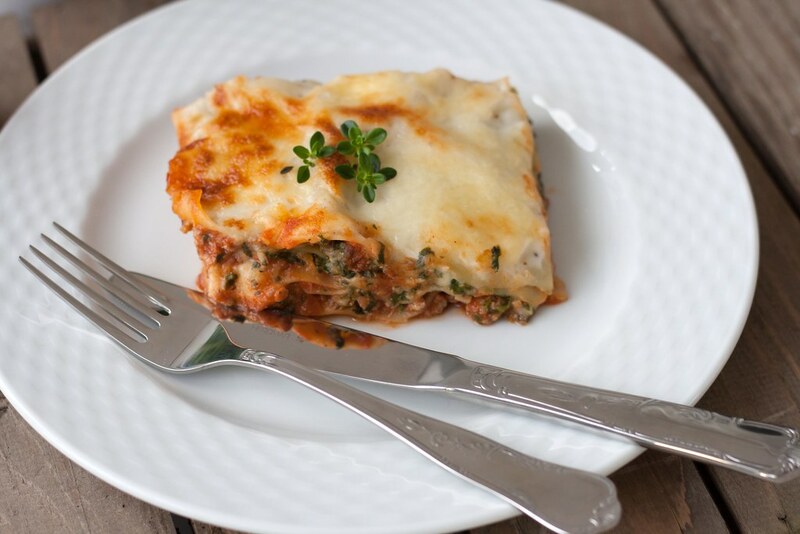 Step 7: Assemble the lasagna, start with a layer of meat sauce, a layer of lasagna sheets, a layer of béchamel sauce and a layer of spinach/cottage cheese. Repeat this step and finish off with a layer of lasagna sheets and béchamel sauce. Step 8: Preheat the oven to 200 C (400F) and place the lasagna at the middle position and bake for about 15 minutes. Add a layer of grated cheese on top of the lasagna and bake for another 15 minutes. Step 9: Take the lasagna out of the oven. It is preferred that the lasagna rest for about 20 minutes. However it can be served directly from the oven. 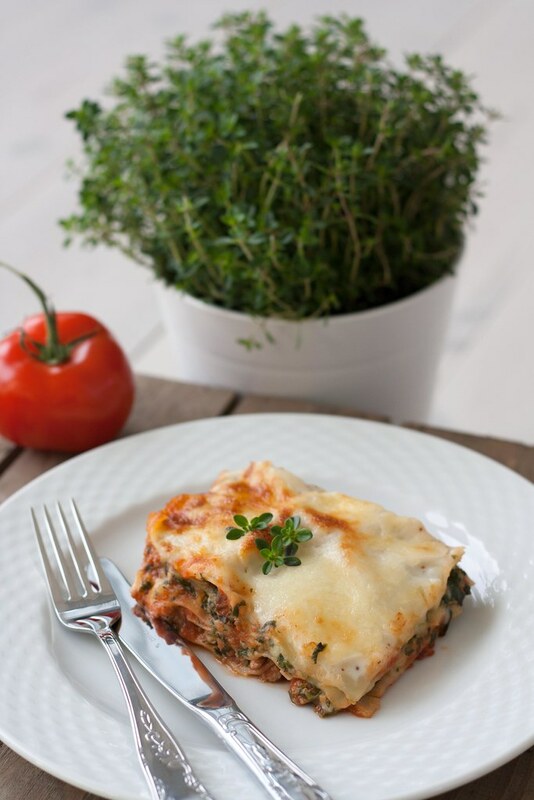 Tip: Serve the lasagna with a nice salad and maybe some freshly baked bread.